Food is one of the entrance doors to health or disease. That's why it's time to go back to natural foods! 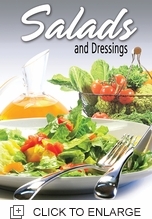 Read this magazine, and enjoy health and extraordinary salads and dressings.